Buy Online Now! 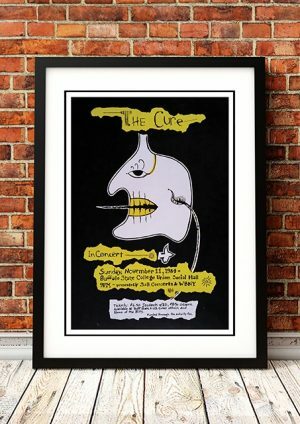 Classic The Cure Concert Posters and Memorabilia. 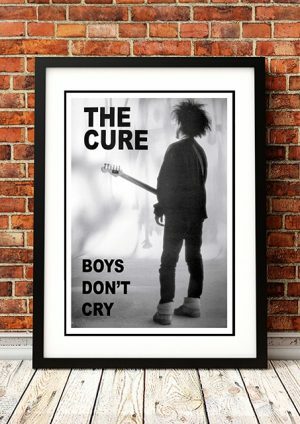 With their distinctive mope-rock sound with a mix of self-obsessed lyrics, minor-key melodies, and Robert Smith’s pale vocal whine, the Cure rose from Britain’s late-Seventies punk scene to become one of the most popular U.K. bands of the Eighties. Smith is known for wearing death-white facial makeup, crimson lipstick, and teased black hair; he is rivaled only by Morrissey as a heartthrob for the discontented. 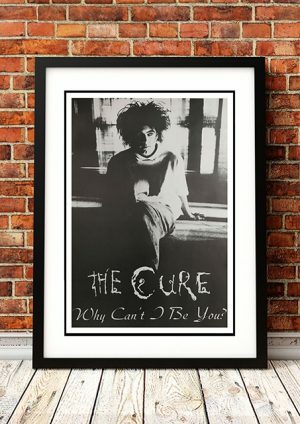 Robert Smith grew up in working-class Crawley, Sussex, a suburb of London. He recalls his childhood years as difficult, a time of run-ins with his parents and the law. 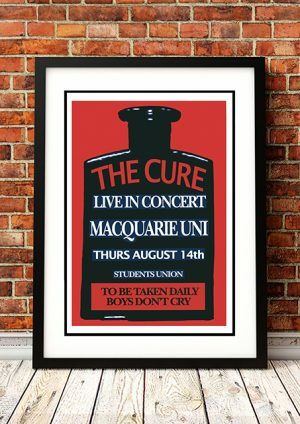 At 17 he formed the Easy Cure with childhood friends Laurence Tolhurst and Michael Dempsey as a sort of catharsis for his feelings of frustration. The group’s music has remained therapeutic for Smith. 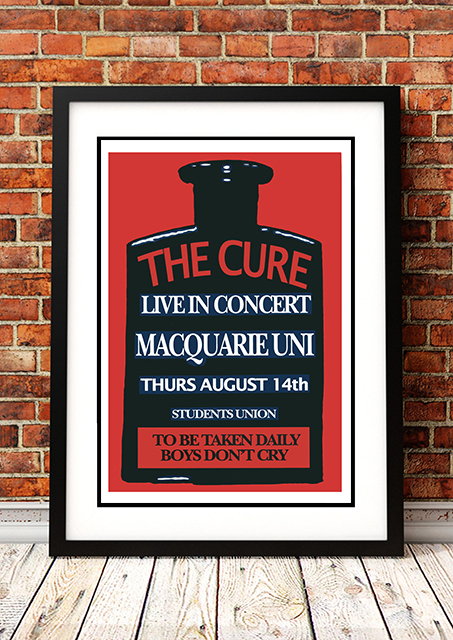 We stock some awesome The Cure Prints.